Despite having been to Paris a handful of times, it was only on my most recent visit, shortly before Christmas 2018 with my boyfriend, that I finally visited The Abbey Bookshop. A short walk from the Seine, and nestled down a quiet, narrow street in the Latin Quarter, The Abbey Bookshop is at the end of rue Saint Jacques: the street that runs from rue Saint Jacques to rue de la Harpe and a Canadian flag marks its entrance, which was skittering in the December wind on the day we visited. Well aware of my inclination to spend hours in bookshops, my boyfriend left me alone for a while while he went to hunt out a nearby restaurant for our penultimate meal in Paris. 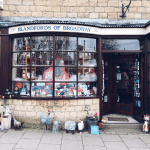 A magical little bookshop that is both cosy and welcoming, The Abbey Bookshop is the sort of place that bookworms dream about. Every nook and cranny is piled high with books – and the literary offering is endless; whether you want something new or used, rare or recently published. When I visited, it was just before Christmas, and it offered a welcome respite with friendly booksellers, book recommendations a-plenty and free coffee away from the cold bite of mid-winter in Paris. 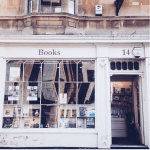 While perhaps not as well known as literary landmark Shakespeare & Company, which just so happens to be around the corner, what The Abbey Bookshop lacks in space (and it certainly is something of a tight squeeze), it makes up for in charm and intimacy. A hidden gem in a very popular, beautiful area of the city, The Abbey Bookshop is undoubtedly one of the best bookshops in Paris and near-on impossible to leave empty-handed. I had to stop myself from buying more than two, and after a half-an-hour chat with the Canadian owner, I left with The Little Prince by Antoine de Saint-Exupéry and Eileen by Ottessa Moshfegh. In 1989, Brian Spence, who hails from Toronto, crossed the Atlantic to bring his Abbey Bookshop to an international audience. 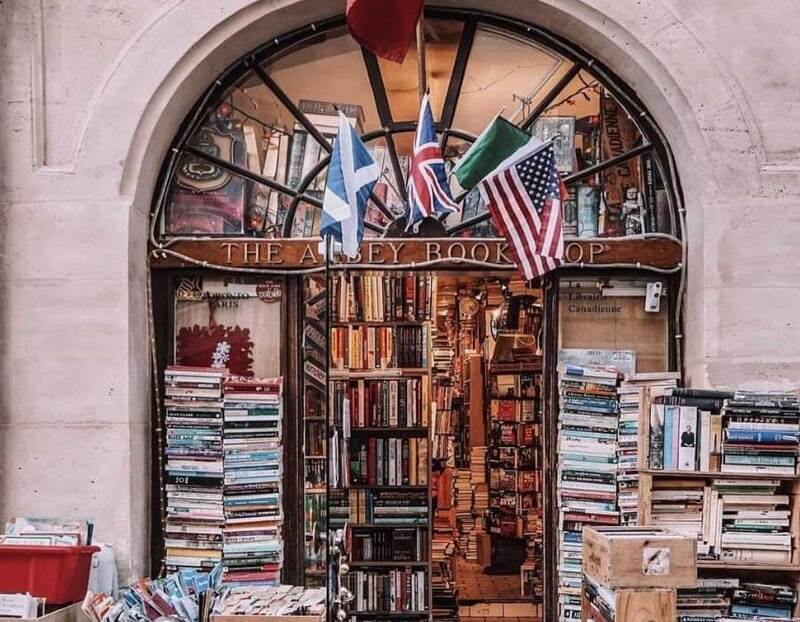 The Abbey Bookshop in Paris’s Latin Quarter has for the last twenty years become a cultural epicenter for Canadians, Anglophones and Anglophiles from all corners of the world. 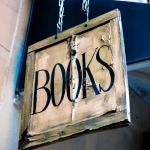 Although offering a wide variety of Canadian books, its main attraction is an eclectic collection of over 35,000 titles in English ranging from scholarly to popular literature. The shop sits on rue de la Parcheminerie, originally named rue des Escrivains for the scribes and scriveners who were the heart of the Parisian book trade until parchmentmakers replaced them in the late Middle Ages. On July 1, 1989 the Abbey Bookshop brought the book trade back to this historic street. The building Spence serendipitously discovered for his shop is the eighteenth-century Hotel Dubuisson, one of the most handsome in the Latin Quarter. The historic “hôtel” is protected as a monument for its picturesque façade, sculptural decoration and carved doors.